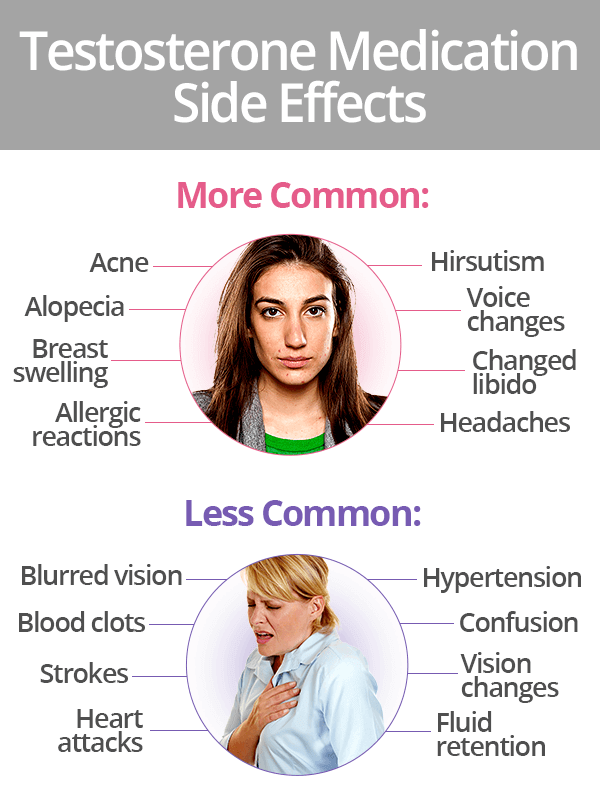 Many doctors are hesitant to prescribe testosterone to women due to its side effects, whose severity is often more pronounced than the symptoms of testosterone imbalance they're prescribed for. 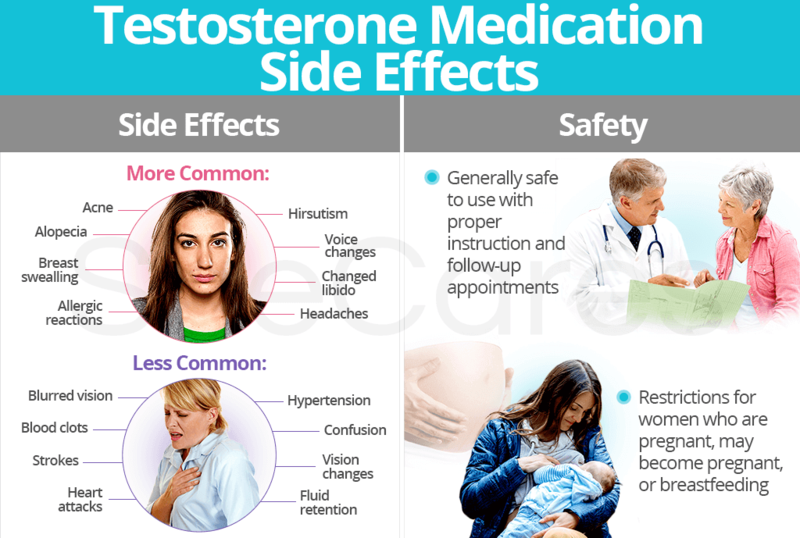 Continue reading to learn more about the safety and side effects of testosterone medications for a better understanding of what the use of testosterone medications entails. Each of the testosterone treatments - pills, gels & creams, injections, and patches - has a specific list of possible side effects according to its particular use. Keep in mind that every woman will react differently to certain methods of application. Testosterone medications are generally safe to use with proper instruction and follow-up with doctors to monitor treatment effectiveness. 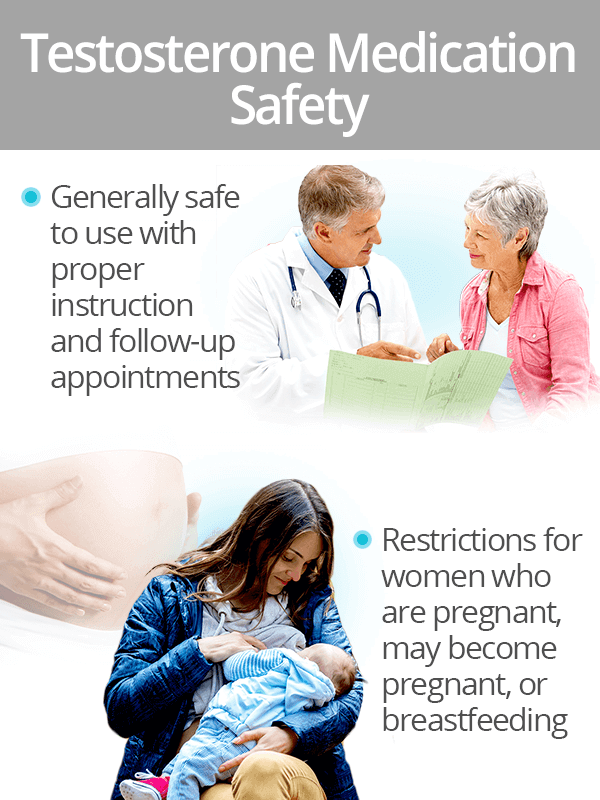 However, certain restrictions may apply for those who are pregnant, may become pregnant, or breastfeeding in addition to those with hormone-dependent cancers. To avoid testosterone side effects from the use of medications, explore options available with natural testosterone supplements and boosters.